DARIEN — A sitting member of the President’s cabinet will be in town at month’s end, in what is likely one of the more prominent guests the Darien Chamber of Commerce has welcomed. 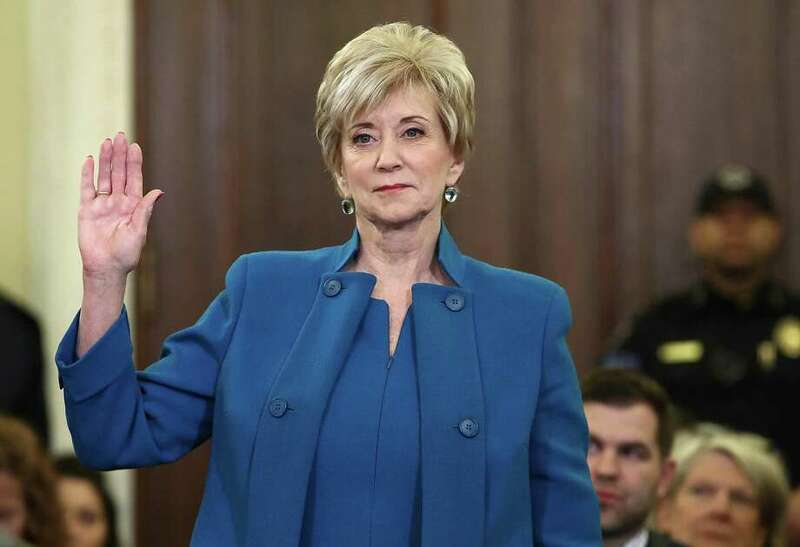 Linda McMahon, the 25th Administrator of the U.S. Small Business Administration and a Greenwich resident, will be featured at Chamber breakfast on Oct. 20. In 2009, Linda stepped down as CEO of WWE to run for the U.S. Senate and was the Republican nominee in 2010 and 2012. She’s also the co-founder and former chief executive officer of Women’s Leadership LIVE, LLC, a company that trains women to launch and expand their own businesses. McMahon has been in the news lately in regards to the SBA’s reaction to the string of hurricanes the country has suffered. McMahon is kicking off her nationwide “Ignite Tour” at the forum. As a member of President Trump’s cabinet, she advocates on behalf of the almost 29 million small businesses in America, which employ nearly half of all American workers and account for 56.8 million jobs. The event, hosted by Darien First Selectman, Jayme Stevenson, will be held at the Country Club of Darien at 500 Mansfield Ave. in Darien. Other participating organizations include the Norwalk and Westport-Weston Chambers of Commerce as well as The Business Council of Fairfield County. Tickets are on sale at www.darienctchamber.com $40 for members and $50 for non- members. Seating is limited. Pre-register by Oct. 16 by 5 p.m. There will be a breakfast buffet starting at 7:45 a.m. and Linda McMahon will speak at 9 a.m.